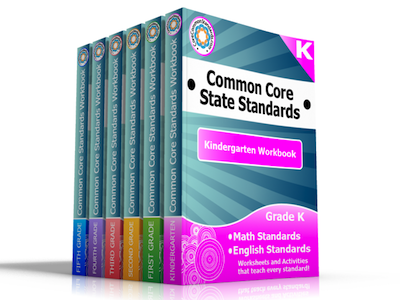 We are now offering our wonderful K-5 Common Core Workbooks and Assessment Workbooks as Instant Download, Preloaded on USB, and Paperback! 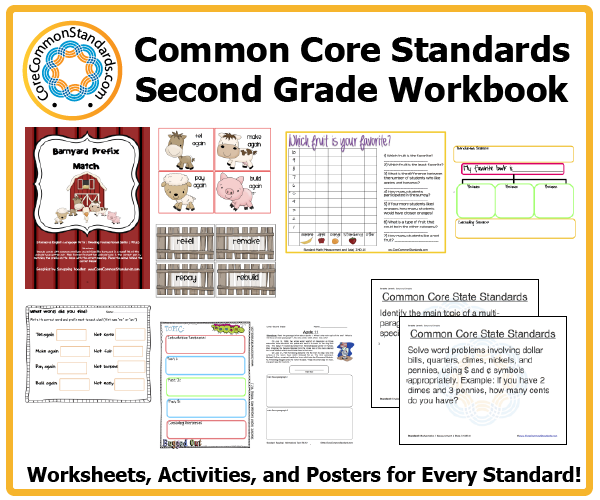 By now, I hope you all know that we have created 12 workbooks full of common core activities, lessons, worksheets, and assessments. We have the 6 grade level workbooks from K-5. We also have the 6 grade level assessment workbooks from K-5. But, what if you don’t want to spend $20 on up to get some materials for your lessons? Everyone has their own teaching style, and maybe you don’t need a huge book of resources. Maybe you’re the person who likes to pick and choose what you get. You’re the build-your-own combo kinda person. Well, we offer a good deal of our materials for sale on TeachersPayTeachers in individual lessons. 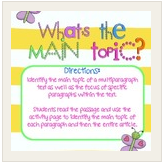 Maybe you need a Main Ideas and Details skill lesson. It could be for your classroom, you might be tutoring, or maybe your kids at home need a little extra boost. You don’t need the whole workbook. You can get one lesson at a time, most for only a dollar or two! Pick and choose and get what the common core materials you need. 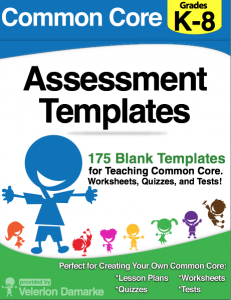 Or, if it’s not lessons you’re needing so much as make-your-own worksheets, quizzes, and lesson plan templates, you can check out Common Core Assessment Templates, made by Have Fun Teaching’s own Andrew Frinkle. 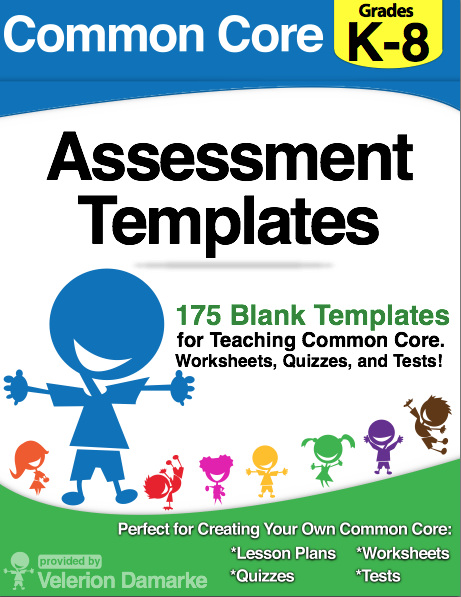 There are 175 templates you can use to make your own writing, language, math, matching, graphic organizer, and primary worksheets or quizzes! A lot of people have questions about common core. I wanted to try to explain a few things and answer a few of the most common questions. Hopefully, it will clear up some misconceptions and brush away some of the misinformation that is floating around. Then, you can look at our materials and decide for yourself how well you think we’ve met the standards. Our free samples should help you see how these standards can be taught and how the goals of a common quality education can be met. 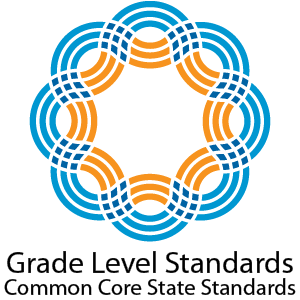 Common Core is, by its name, an attempt to create common standards for core skills for grades K-12. The hope is that every student in America will be learning similar key skills at a similar time during the educational process. Isn’t this just pointless government regulation? Well, a few states have actually decided not to go with common core. Others have decided to implement them in part, changing their own state materials to match to the extent they are comfortable. Some states were already ahead of the game in education, so they had less changing to do than others. States are given a choice in the matter. The aim is to offer consistent educational opportunities and experiences across the country. As a teacher, it can be very difficult to get a student from another county or even another state that is at an entirely different level, for better or worse, than the rest of the students you are teaching. Maybe the new student has not even seen a division problem before, and you’re already working on 3-digit division with remainders. It is a disservice to any student to place them in a situation where they are behind everyone else. This happens even when students move from one neighborhood to another, changing schools within the same district! By creating standardized skill sets that students are required to master at each grade, and by communicating them in common language nationwide, students are given a more level playing field. So some guys who don’t teach threw this stuff together and expect everyone to do it? Actually, the major teachers unions and associations helped develop these standards. Isn’t this just another name for what we’ve already been doing? If a state had unified standards before, chances are, this is not a completely foreign set of standards. You might see some shifts from one grade to another as far as what is expected, but they will be similar. The whole point, again, is to make sure the standards are similar across the country. Also, they have been compared to international standards to help prepare our students for international competition in the job market. What’s the big deal about standards anyway? Learning is a building process. It’s a step-by-step addition of new skills building upon basic skills. You need to make sure each student is taught the basics before they go on to more complicated processes. For example, you might learn addition of two 1-digit numbers in Kindergarten. In first grade, it might go to 2-digit numbers. Then you will see borrowing and carrying. More digits will be added. This will pave the way for multiplication and division. It’s a building process. What about science and social studies? These are not completely forgotten. 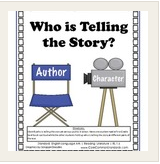 There is a HUGE push to include nonfiction and informational text in the standards. Previously, you might have seen young kids reading cutesy stories and whatnot in lower levels, and then they slowly shift toward more informational text as students get older. By middle and high school, it seems like you’re only reading informational text, right? It’s definitely a lot more balanced approach now. It’s actually not impossible to have fun science and social studies text even in lower grades. So everyone has to buy these common core guys’ textbooks, right? Actually, the common core standards were developed independent of any specific textbooks. Textbook companies, as always, will update their materials to match the new standards, but the group that developed the standards are not doing all of this to sell any specific materials. Several groups are working on creating standardized tests, but it is still a state decision. PARCC is one of the major testing developers that is working on a standardized test. They’re in several states. Smarter Balanced is another one to read up on. For the most part, states will decide how they want to test the success of their students in these new standards. These may replace what are currently in place in each state, or they might not. Regardless, test preparation is important, as well as assessing the learning acquisition of students. How does this affect college readiness? In developing these standards, college readiness was a very large concern. They couldn’t take the acquisition of skills too slowly, or students would not be prepared for college. ACT, major colleges, and other groups were consulted to help develop a pathway of education that lead from K-12 and then beyond. Everyone had it in their interest to make sure the proper skill levels were attained by high school graduation. 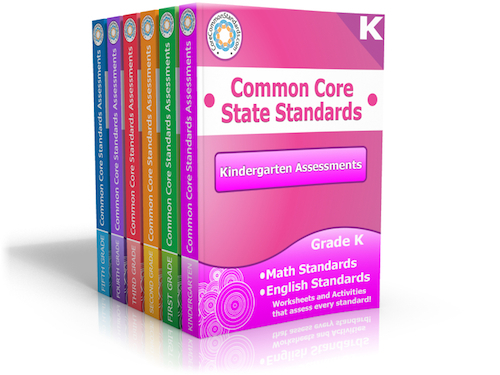 Common Core doesn’t have to be all heartache and headache! Yes, trying to come up with new lesson ideas or even re-aligning your favorite old lessons to the new sets of standards isn’t any fun, but there are resources out there that let you keep teaching without reinventing the wheel. We all have favorite lessons that we are GOING to teach because they make us happy, giving us that little corner of our educational world where we are happiest. Those ones we’re going to tweak and fix and justify with their alignment to standards. What about the rest of the day, the week, or the year? What common core lessons are you going to teach? 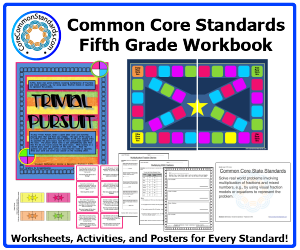 We have ready-made frustration-free common core materials for 5 minutes or 50 minutes! 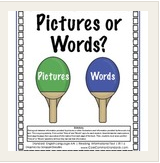 We have developed a whole series of grade-level appropriate centers, worksheets, and activities. These can be your bell-ringers. These can be your supplementary materials. These could be your pre-and-post tests. 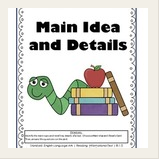 These can be your differentiated instruction materials. You can fit them into your day. That’s the beauty of it. Teach what you need to, but do it YOUR way. Don’t like a page? Don’t use it. Have ideas to extend the lessons and connect them to other subjects? Great! Do it how you need for your students.